BSc. Agriculture. 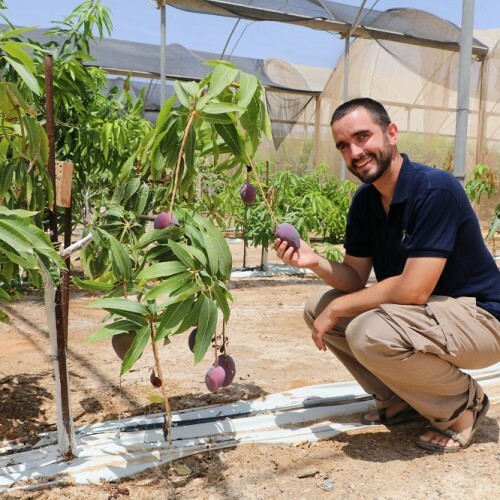 Field Trials Technician at the Yair Research Station, research assistant for plantations and soil & water experiments. Coordinating practical implementation of vegetable greenhouse and plantation research projects. Conducting the cultivations in collaboration with researchers, advisors and external parties. Responsible for data collection and initial analysis from the experiments. Instructing and managing seasonal workers within the departments during field cultivations (e.g. planting, harvesting, pruning). Assisting and training international agricultural students in the field. Dutch R&D spokesperson.